Buying a high-priced or luxury home requires a large investment. Oftentimes, these extravagant homes exceed conforming loan limits set by the Federal Housing Finance Agency (FHFA). When interested home buyers are unable to secure a conventional mortgage loan for their pricey property, they turn to a mortgage broker for a jumbo loan. Jumbo loans are a type of mortgage loan that offers borrowers home financing in amounts above traditional loan limits. These plus-sized loans have a current threshold of $424,100 in most areas of the United States. In higher-cost regions, jumbo loan limits can surpass $600,000. However, jumbo loans are not right for all high rolling buyers. Conventional loans conform to the guidelines of Fannie Mae and Freddie Mac. These government-sponsored enterprises purchase mortgage from lenders and will maintain the mortgage in a portfolio or package the loan into mortgage-backed securities. Created by Congress in 1938 and 1970, the enterprises are in place to provide affordability to the mortgage market. However, Fannie Mae and Freddie Mac only purchase mortgages that meet their strict guidelines pertaining to credit scores, down payments, loan amounts, and post-closing reserves. Loans that exceed limit regulations are referred to as jumbo loans or ‘non-conforming mortgages’. Maybe you have your sights set on a million dollar home. You probably do not have the money in the bank to pay for it outright, and even if you did, you may not want to put that much cash down on real estate. Instead, you seek out a jumbo loan. First know that jumbo loans have more rigorous credit requirements than conventional loans due to the higher credit risk for the lender. Without a guarantee from Fannie Mae or Freddie Mac, a lender must take the chance that you will repay the loan. In the last decade, minimum requirements for jumbo loans have become increasingly stringent. While loan requirements differ from lender to lender, most require a stellar credit score of at least 700. Borrowers must also carry a low debt-to-income ratio of less than 43 percent. 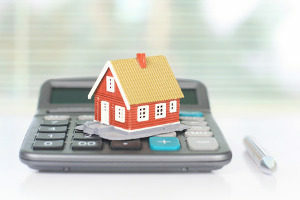 You must also provide proof that you have sufficient cash flow to cover your mortgage payments which will also be jumbo in size, especially if you opt for a standard 30-year fixed rate mortgage. Borrowers may also need to show proof of liquid assets to qualify. Knowing the differences between a jumbo loan and conventional loan can help you make a more informed decision regarding your investment. While the main difference between the two types of loans is size, other factors also differentiate jumbo loans from conventional options. One of the biggest differences is the attached interest rates. Jumbo loans are known to have higher interest rates than conforming loans. However, this is not always the case. Some lenders do offer competitive rates so it is important to shop around. Working with a qualified mortgage broker is a great way to see all of your options laid out in front of you. With a jumbo loan, you may also be looking at a heftier down payment. On average, the minimum down payment for jumbo loans is 10 percent. Other lenders may require a larger down payment of up to 20 percent or more. In addition to higher down payment amounts, borrowers may also be faced with higher closing costs and associated fees. As the loan is jumbo in size, higher costs at closing is an inevitable ramification. Be sure to consider these fees before making the decision to purchase a high-priced home. While jumbo loans do have their downfalls, they also offer interested borrowers a number of benefits. If you have found your dream home but it requires financing that is higher than the conforming loan amounts set by Fannie Mae and Freddie Mac, you may feel that you have few options. Fortunately, jumbo loan make it possible for qualified candidates to obtain the financing they need to purchase lavish or high-priced homes. 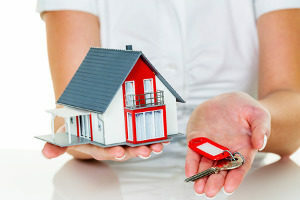 These borrowers also have the convenience of getting just one loan for the entire amount of the mortgage, verses having to take out multiple loans to cover the high cost. With jumbo loans, you also have the benefit of choosing from a variety of different loan programs. Similar to conventional loans, borrowers can choose a program that works best for their budget and lifestyle. For example, you could choose to get a mortgage with an adjustable-rate, or you may choose to get a 30 year fixed-rate loan. Another major perk of jumbo loans is that they have no private mortgage insurance requirements. Savvy borrowers can also take advantage of the tax benefits that can be gained through mortgage interest deductions. While jumbo loans can be highly advantageous to borrowers looking to buy high-priced homes that are not guaranteed by Fannie Mae and Freddie Mac, they are not right for all borrowers. If you do not qualify for a jumbo loan or if you find that this type of mortgage is not right for you, know that you have other options. First, you will want to consider making a large enough down payment so that it brings your loan amount down to conforming limits. 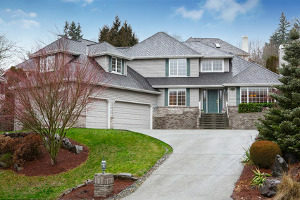 For example, if you want to buy a $700,000 home but the limit in your area is $420,000, you could put down $280,000 to bring the loan to the maximum. You may also want to consider getting two conventional mortgages instead of one jumbo loan. Most borrowers achieve this by first getting a conforming mortgage before piggybacking with a second mortgage. While you will likely be looking at a higher rate on the second mortgage, the first should be fairly competitive. If you are interested in learning more about jumbo loans or alternative mortgage loans, the professionals at Fairfax Mortgage can help. Contact one of our qualified mortgage brokers today to find out how you could possibly become the owner of a luxury or high-priced home.